Imagine dipping yourself in a sea of pearls - warm, rich and luminescent. We carry pearls in all sizes. All pearls at C.W. Smith Jewelers are chosen for their high quality and deep, rich lustre. Equally as important, the pearls in a strand, bracelet or earrings are perfectly matched for size, quality and color. 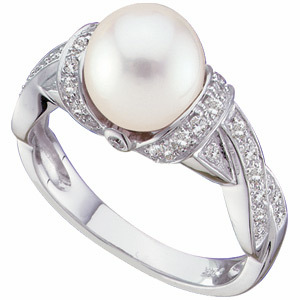 This creates a stunning, elegant piece of pearl jewelry you can be proud to wear.